The Congregation for the Causes of Saints today promulgated the Decree of Martyrdom for the Venerable Savio Huix Miralpeix, Bishop of Lérida and formerly of the Oratory of Vic, Catalonia, a martyr of the Spanish Civil War. A date can now be set for his beatification. The Servant of God, Savio Huix Miralpeix, was born on 22nd December 1877 in Santa Margarita de Vellors in the Diocese of Vic in Catalonia, into a family for whom faith in God and love for the Church were an irrevocable inheritance. 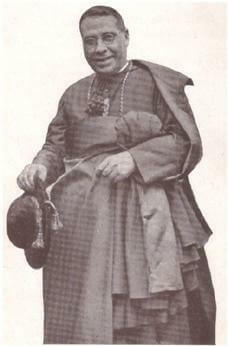 He was ordained priest on 19th September 1903 and four years later entered the Congregation of the Oratory of Vic where for twenty years he gave himself over to an intense ministry of study, preaching and writing, catechising, teaching in the diocesan seminary and promoting associations for Catholic women. He was the Provost of Vic when, in 1927, he was named Bishop of Ibiza. There he gave an extraordinary stimulus to religious life. Translated to Lérida on 29th January 1935 he continued his zealous apostolic work until 21st July 1936 when Republican forces broke into the Episcopal palace and Mgr Miralpeix, reluctantly and in order to safeguard his associates, took refuge with friends. Seeing the dangers to which his helpers were exposed, on the night of 23rd he left his hideout and presented himself to the police, revealing his true identity. He was imprisoned at once, together with other prisoners with whom he shared both sufferings and also the joy of secret prayers and Masses, right up to the last moving Holy Communion which proved to be their Viaticum. At 4.30 on the morning of 5th August they were all of them taken to the local cemetery and shot. The bishop asked that he might be the last to be killed so as to give absolution and comfort to his companions in martyrdom. Before his arrest he entrusted his pectoral cross to a friend, asking him to take it to the Holy Father, for whom he was offering his life and assuring him of his loyalty.